Dietary fiber is defined by the National Academy of Sciences Food and Nutrition Board as a carbohydrate inherent in plants that is unable to be digested and absorbed in the human small intestine. Essentially, fiber is a carbohydrate that has bonds which human digestive enzymes cannot breakdown. Because of this, fiber provides no energy nor is it absorbed, but as it passes through your digestive tract it offers some pretty awesome benefits. Soluble fibers are fibers that dissolve in warm water. These fibers form a gel in your gastrointestinal tract when they mix with water in your gut. They are easily fermented by bacteria (not human enzymes!) in the colon so they can be broken down before excretion. Insoluble fibers are fibers that do not dissolve in water and retain their structure and texture. They are not as easily fermented by bacteria. Most fiber-containing foods include both types of fiber. Most fiber-containing foods also are low in fat, saturated fat, and cholesterol and rich in phytochemicals, vitamins and minerals. That is because you can typically find fiber in fruits, vegetables, whole grains, and legumes. So Back To Our Original Question; Why Is Fiber So Good for You? Why are health professionals recommending you increase the fiber in your diet? There are plenty of motives, but we will focus on four major reasons. 1. Fiber can improve your blood cholesterol levels. Both soluble and insoluble fiber effect blood cholesterol levels in a very interesting way. In the GI tract, fiber binds to fatty acids, cholesterol and bile, a component that is necessary for fat digestion. Because they are bound to the fiber, they are also excreted with the fiber in the feces. Typically, the liver reabsorbs bile to maintain levels, but when bile levels drop due to excretion, the liver is signaled to uptake more cholesterol from your blood so it can create more bile. This ultimately reduces your serum cholesterol levels. Some small fatty acids that are a byproduct of fiber fermentation may also reduce cholesterol synthesis. 2. Fiber helps promote a healthy gastrointestinal tract. Fiber, particularly the insoluble kind, adds bulk and softens stool. Although this sounds gross, this is actually a good thing, because it allows you to make a bowel movement with ease, meaning less stress and pressure and less risk for hemorrhoids and constipation. During its passage through the intestine, fiber also stimulates and strengthens the intestinal lining which can prevent inflammatory bowel diseases such as diverticulitis. Fiber may also reduce the risk of colon cancer for multiple reasons. First, fiber draws in water which dilutes any toxins that may be present, secondly, fiber also speeds up the elimination process allowing less time for toxins to be in contact with the colon. Also, during fiber fermentation, certain short chain fatty acids are created as a byproduct. These fatty acids are a preferred fuel source for the cells in the colon and promote healthy cell synthesis within the mucosa. 3. 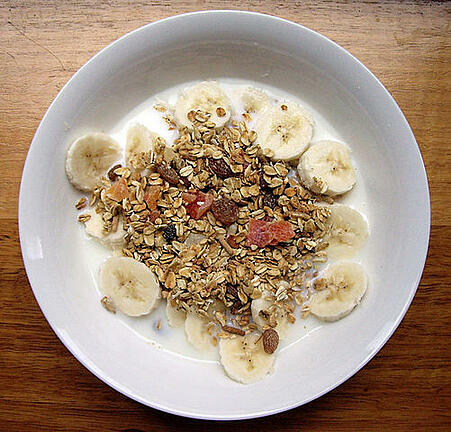 Fiber can better control blood sugars and reduce risk of type 2 diabetes. As was stated, soluble fibers form a gel in your gastrointestinal tract when they mix with water in your gut. This delays digestion in several ways: first by inhibiting digestive enzymes from breaking down food in the gut, which means it takes longer for nutrients (including sugars like glucose) to start traveling down the intestines. The gel formed by the fiber also traps some nutrients, preventing their absorption and also causes the digested food to travel slowly through the gastrointestinal tract. This supports better control of blood sugars, which can aid in the prevention of diabetes and can also help those with diabetes. 4. Fiber promotes a healthy body weight. All of the previously stated characteristics of fiber from forming a gel, adding bulk, and delayed digestion play a part in helping to achieve and maintain a healthy body weight as these traits work to make you feel more full. Some data also suggests that fiber may reduce appetite-stimulating hormones. How Can You Enjoy Fiber's Important Benefits? Incorporating fiber into your diet doesn’t have to be a tedious task. Simply focusing on adding whole foods such as whole grains, fruits, and vegetables to your diet will add fiber to your diet. You can do this through easy changes such as having a mixed veggie salad with dinner, throwing some sautéed veggies into your stir fry, eating a vegetable soup as an appetizer, having a piece of fruit for a snack, swapping out your donut for some whole grain oatmeal, or even choosing brown rice over white rice with dinner. Making dietary changes instead of taking supplements is always the best way to improve your diet. Several studies have shown that the benefits of fiber may be maximized when it is consumed from the whole food as opposed to coming from a supplement. 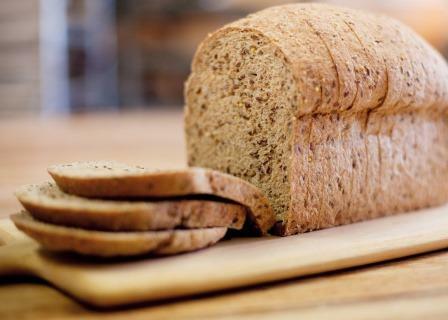 If you’re looking for some whole grain, high fiber options check out your local Great Harvest and look for our High Five Fiber bread which packs 5 grams of fiber in every 2 oz. slice of bread! Do I Really Need Carbohydrates From Sources Like Whole Grains? Great Harvest Bakes High Five Fiber for Happiness! 1. Duyff, R.L. American Dietetic Association Complete Food and Nutrition Guide. 3rd ed. Hoboken, NJ: John Wiley & Sons; 2006. 132-144. Print. 2. Gropper, Sareen Annora Stepnick, Jack L. Smith, and James L. Groff. Advanced Nutrition and Human Metabolism. 4th ed. Belmont, CA: Wadsworth/Thomson, 2005. 108-122. Print. Hi, I am Melissa! 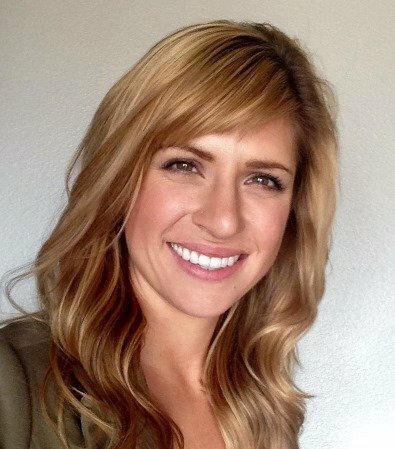 I’m a Registered, Licensed Dietitian and I have been the Nutrition Specialist for Great Harvest since December of 2010. I got my start in nutrition at Colorado State University where I graduated with a Bachelor of Science in Nutrition and Food Science with a focus in Dietetics. I went on to graduate from the Dietetic Internship Program at the Baptist Health System in San Antonio and then work as a Medical Nutrition Specialist in Houston. My love of the outdoors and the opportunity to work at one of Outside Magazine’s Top 100 Best Places to Work brought me to Montana and Great Harvest. My favorite part of my job is being able to work with an amazing group of fun and intellectual individuals who are passionate about making healthy eating a delicious experience while giving back to communities across the country. © 2019 Great Harvest Franchising, Inc.